You will enjoy this cozy guest room which features a handsome king bed, classic high ceiling and well appointed lighting. 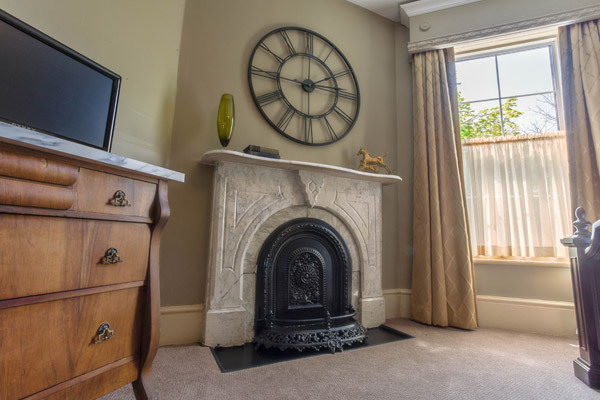 A large window and non-working marble fireplace, original to the house, add grace and elegance to your stay. 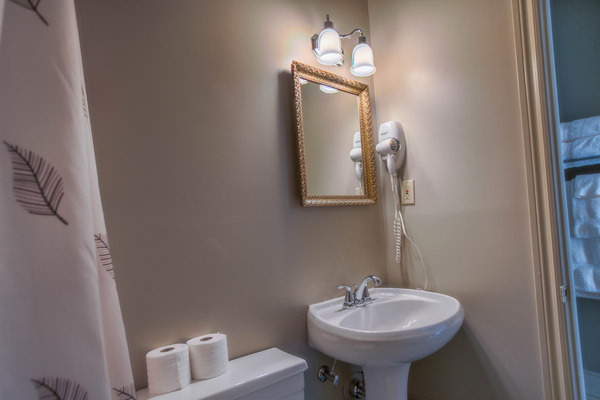 The Sir John Suite is appointed with its own private bath complete with Jacuzzi soaker tub.